Greece. Kos island. Kefalos beach. 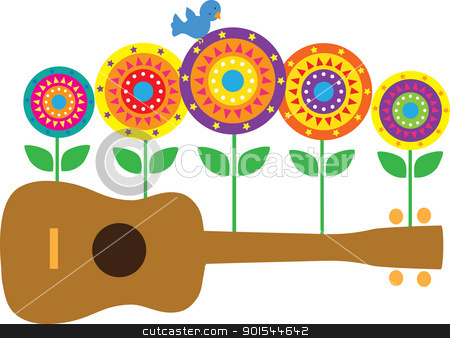 A horizontal image of a brown ukulele, with stylized flowers and a blue bird springing up from the ukulele.